There's hundreds of football games on iPhone & Android phones, so we decided to pick our 10 favorites! Watching your favorite team playing is the most satisfying thing about Football. But what’s coming after that? A football video game. 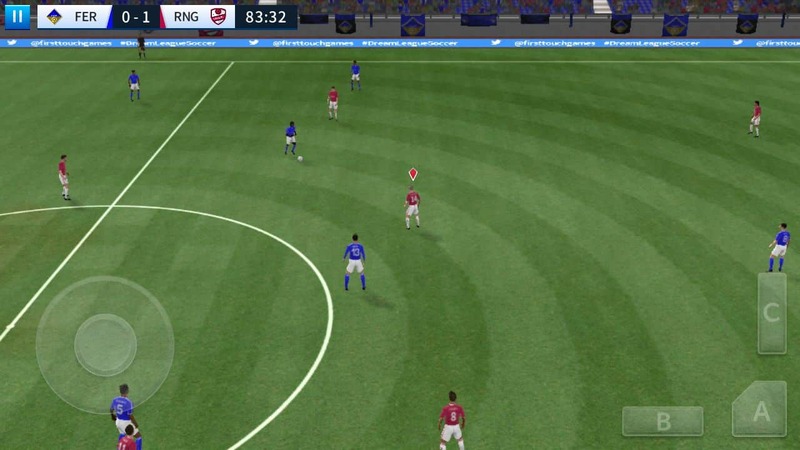 While there are plenty of great video games on consoles and PC, if you have a smartphone or a tablet, app stores are evolving the last couple of years with a big library of football games. 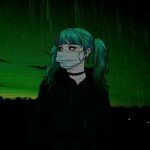 I found the best ones among hundreds, and all of them are free to play on both platforms, Android and iOS. Football Strike is one of the most enjoyable football games I have ever played on a mobile device. Wherever you are, whatever you are doing and have 5 minutes of free time you can head straight on a game and play online in one of the modes that are available. Penalties, Shooting Race and Career Mode! 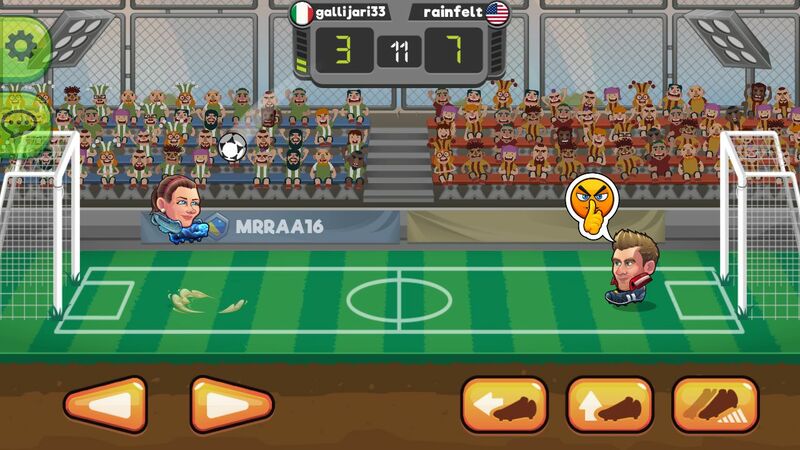 A simple, easy to play, fast-paced gameplay which offers endless competitive football fun! You can play against your friends or challenge players from across the world and make your place on the leaderboards. After every win you earn money and bags which they contain equipment and upgrades for your player. Your characters are customizable and you can change everything, like their hair, boots, add tattoos or even change your ball which is upgradable too! You can even represent your favorite team and play as FC Barcelona, Real, Borussia Dortmund, FC Zenit and more! 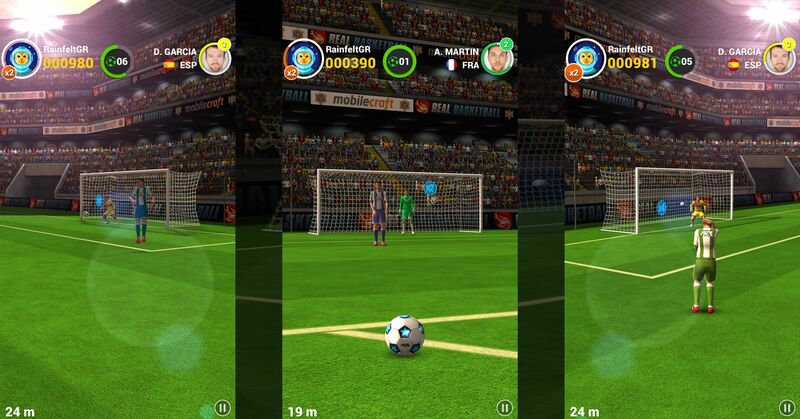 Dream League Soccer is one of the best Android and iOS football games out there. The game has a good combination of great 3D graphics and visuals, realistic animations and up to 60fps dynamic gameplay to give you the proper experience! 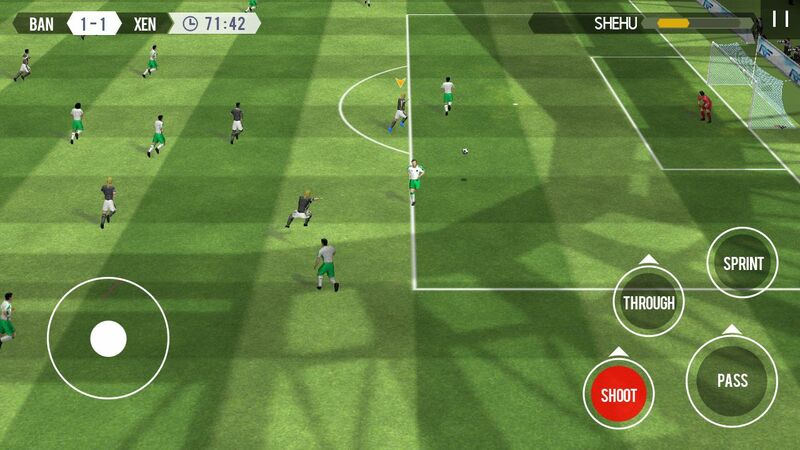 It gives you the feeling of an old FIFA game on a PSP with newer graphics and solid animations. The controls are well implemented, and it won’t take long before you will learn the basics and make passes between teammates, sliding through balls past defenders, and pulling off tackles. Create your very own team, sign players which there are many licensed top players included, choose your formation and play style, build your own stadium and rise through the six leagues to top on the prestigious Elite Division. You can put your team on the Dream League Online and make your way through the ranks, participate on various events and tournaments and play against the best! The well known title Pro Evolution Soccer by Konami, carries a history of great games on consoles and PC since 2001. 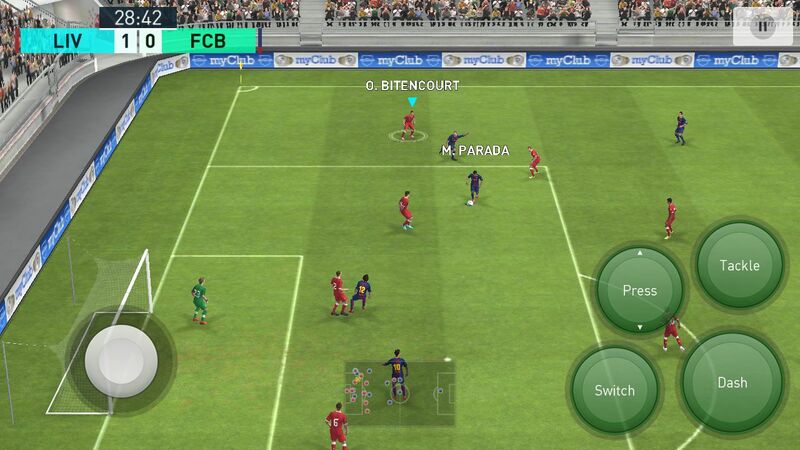 The first ever PES game on a mobile device was released back on 2007, in a visual of 2D scrolling, which was not that bad but we can’t even compare it with nowadays releases. This new release is hundred times much better than any Pro Evolution Soccer you might have played on your mobile device. Offering high quality graphics, great visuals, realistic animations and a much better and advanced gameplay. Build up your own squad and put them to the test against AI and friends. Strength up your players by doing training activities to increase their attributes and to keep your squad active against any team you will face. Once you feel ready you can join online with your own team and compete through weekly events and challenges to win different types of rewards. Score! Hero is one of those football games that catches your eye instantly and make you spent hours of playing trying to pass every level or win a match in our occasion. Those little moments in each match that change the outcome on one way or another are what makes this game interesting and entertaining. Although here you’re not really changing anything. The score is decided before you are even able to take control of your players. All you’re doing is completing tasks to move things on to their inevitable conclusion. You don’t just control your hero though, you have to set up situations where you can fulfill all the stars from your tasks leading to have the specific number of stars that are needed to move on in the season. You start the game by choosing a player, the main task is to lead him through his career, from changing teams to trying get into the national squad. Every match is like a puzzle to solve, and every action you take affects your whole team. Head Ball 2 is very easy, simple to play and super fun! You play against other players online in a match that gives you the length of 90 seconds to try to score as much as you can and not concede in order to win. Your player can kick the ball up, down and use his head too in order to score or protect your goalpost. Also, in order to help you in your games you can choose a superpower but you are able to use it only once on every match. As you level up and win matches, you will earn packs which they will give you cards to unlock better characters, upgrades for characters, superpowers and slots to use more on every game, and cosmetics! 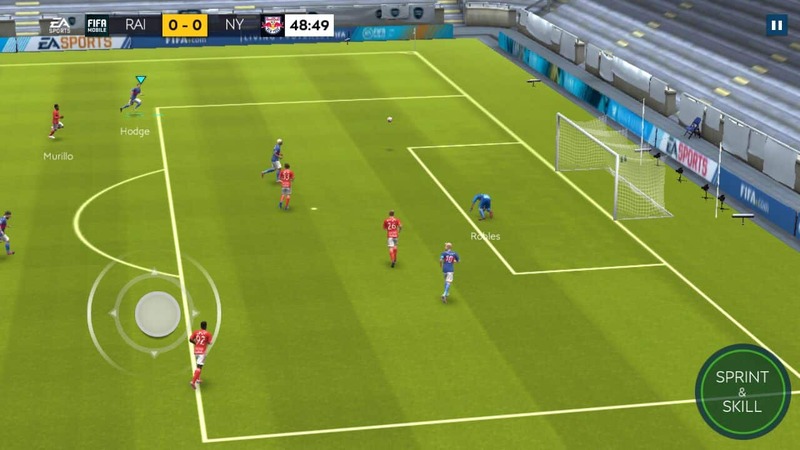 A new season of FIFA on Android and iOS is here with an upgraded game engine, which gives us the experience of new graphics, visuals, and a all-new gameplay. The most anticipated mode on FIFA over the years, either on consoles or mobile, is the Ultimate Team. In the Ultimate team you build your own team focused on chemistry based on their club, league and nation. It has a real depth on building your roster as you choose players from over 550 real teams. Besides Ultimate Team you can go on a Head To Head match with competitors around th world. 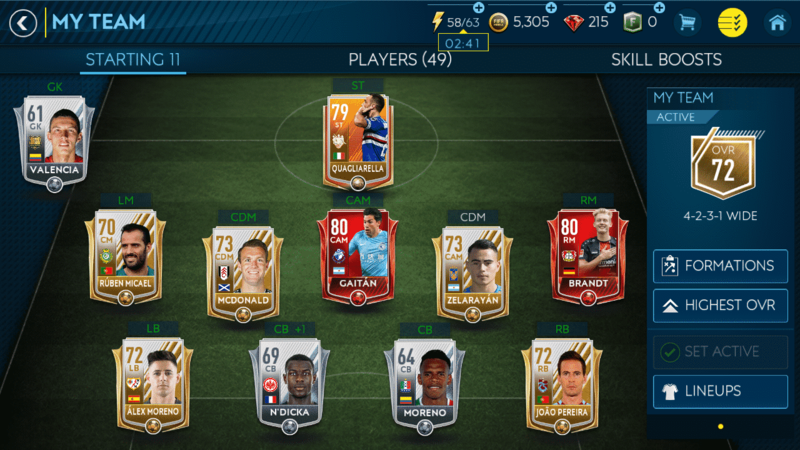 Choose your formation and make your tactics to participate on league tournaments and claim your place on the leaderboards. 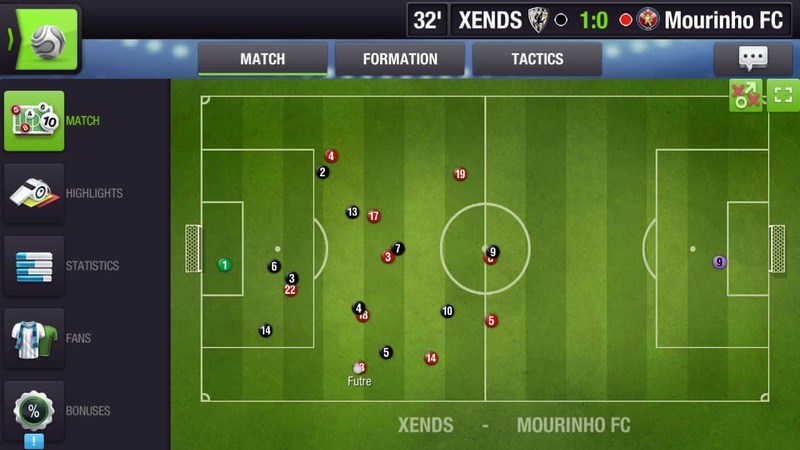 Top Eleven is a football manager simulation game, developed by Nordeus and released on May 9th, 2010, with their initial intention of making it a Facebook game. 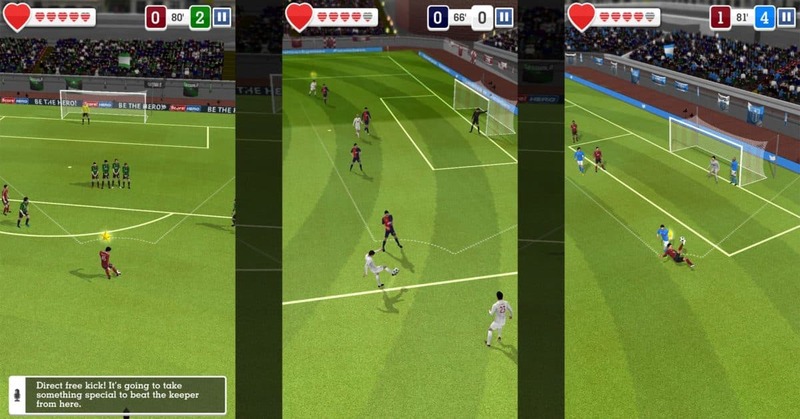 Nordeus is a Serbian mobile game developer, stationed in Belgrade, and Top Eleven is their debut game. 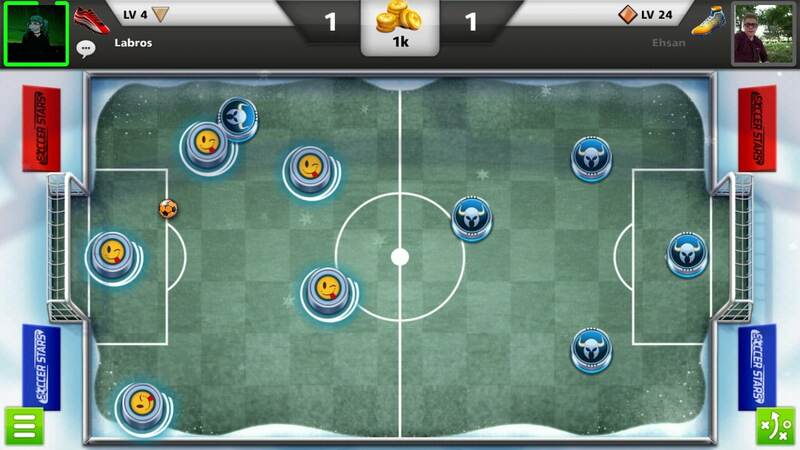 Top Eleven is essentially a single player game, but it also has a multiplayer feature . 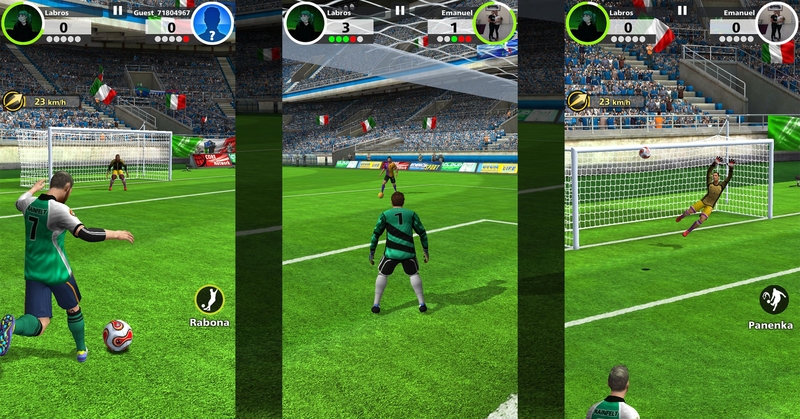 In fact, you can play matches with other player’s teams, which are scheduled in real-world time and date. You can oversee the match via the basic 2D engine, or you can view the results later. Like every other football manager simulation game you can train your team, create formations and tactics, scout for new players, improve your stadium for a better income on home game matches and participate on league, cup and Champions League. Considering its name, it might confuse you because Soccer Stars doesn’t actually futures real players. Instead of players you have a team of ice hockey style pucks thwacking the ball towards goal on a small field. Soccer Stars, besides the name, its so fresh and unique! The game is simple, which is easy to learn and fun to play. It has great physics, graphics and smooth gameplay. You can compete in different tiers, from different countries and play against friend or players from around the world. Also, you can customize your pucks with different logos, colors, teams, and upgrade their stats. Flick Shoot 2 isn’t a full game of football but instead a series of gaming modes where you are challenging the opposing team’s goalkeeper. Graphics look nice, the characters are nicely drawn up, easy to learn, and the overall gameplay is actually addicting. You can easily stuck on your phone playing this game for hours. It has a couple of modes available to play such as single player, multiplayer against friends or random players, mini games which you can win prizes by completing them, online tournaments and many more. The best thing of this game is that it doesn’t require a lot of memory, so if you want to spent some free time playing football anytime, anywhere and you have an older phone, this is your choice. Real Football seems similar to FIFA and Pro Evolution Soccer but it’s not. What makes this game different is its flow. At first you might struggle with the controls but since you get through the basics comes the fun part. It has a really smooth gameplay, great visuals and 3D graphics, decent animations and physics and beautiful cutscenes. Create your own dream team and develop team facilities including Stadiums, Hospitals, Physiotherapy Centers and Youth Camp. Recruit star players, improve their abilities, challenge yourself to claim the league and cup or compete online on the PVP World Arena against the best, participate in the online tournaments and many more.